Fit 4 Two: Is Exercise Medicine for Pregnancy? 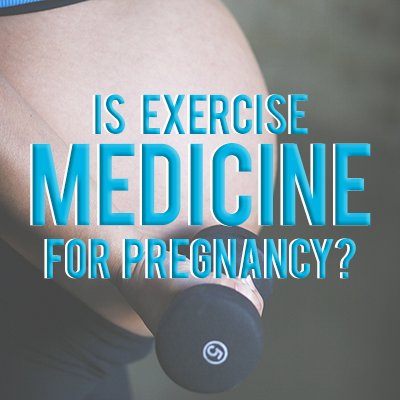 Is Exercise Medicine for Pregnancy? Back in October, we asked you this same question. We were inspired by an article from the American College of Sports Medicine. If you didn't get a chance to read about it, click here. In a nutshell, the article, co-written by Canadian professor Dr. Mottola, outlines the important health benefits of an active pregnancy and suggests that healthcare providers include recommending exercise as part of their prenatal care protocol. Exercise as medicine is a concept that is gaining momentum. Doctor Mike Evan's viral YouTube video 23 and 1/2 Hours boasts almost 4 million views. Family doctors all over the world are 'prescribing' the video to their patients. When it comes to pregnancy, there are even more health benefits to an active lifestyle. February is Exercise & Pregnancy Awareness Month. This year's theme is: "Is Exercise Medicine for Pregnancy?" Help us debunk myths and encourage pregnant women to choose an active life style by sharing this blog post.